Rio Verde Country Club features two 18-hole championship golf courses which are blanketed with an abundance of grass. This is not desert golf, nor is it target golf. Rio Verde features traditional greenbelt courses...with a soft desert feel...more Midwestern in style with a lot more grass than customary in a desert setting. The par 72 Quail Run course was developed in 1973, and the par 71 White Wing course opened for play 10 years later. Both courses offer spectacular mountain views, and with four different tee options, provide a suitable challenge no matter what your skill level. In 2007, the country club approved a $6.5-million budget for the revitalization of its two golf courses and commissioned Tom Lehman and his design group to modernize both layouts. Our Quail Run makeover was completed on schedule and under budget, with results exceeding even the most optimistic expectations. Lehman's team is currently applying its magic touch to our White Wing course -- revitalizing 10 holes in phase one -- completing the full program with the remaining eight holes in 2009. No member assessments were necessary to fund the project. In addition to our two fine golf courses, members are treated to an events calendar for men, women, 9-holers, and couples that defies description. Locals describe it as non-stop golf, but feel free to pick and choose from the array of events that suits your pace. Please call 480-471-9420 for current rates. 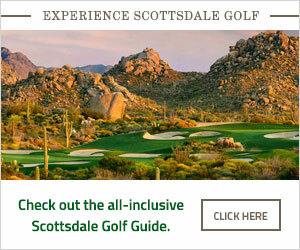 Call 480-471-9420 for rates and tee times. Contact Rio Verde Country Club at 480-471-9420 for more information and details on holding a golf outing at the course. Contact Rio Verde Country Club at 480-471-9420. Contact Rio Verde Country Club at 480-471-9420 for onsite or nearby dining options. This profile was last updated on 03/18/2015 and has been viewed 5,559 times.